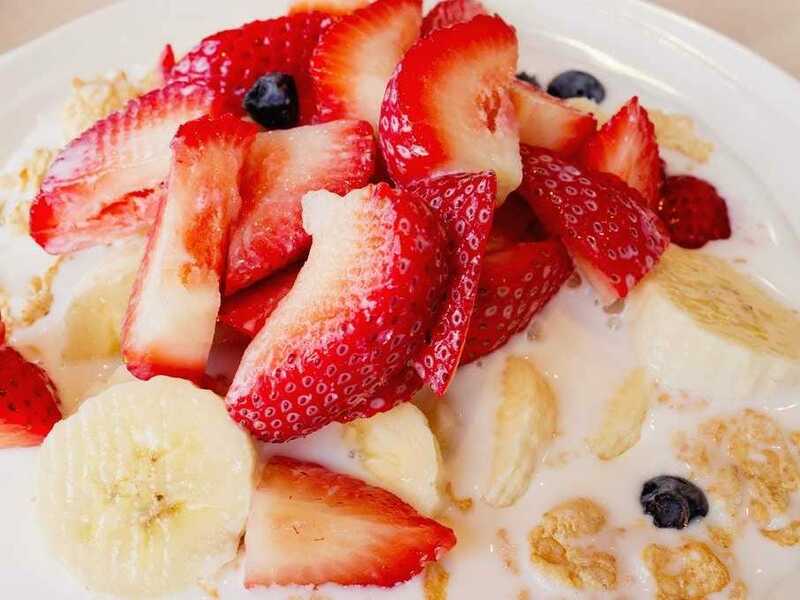 Mom always said breakfast was the most important meal of the day — and the research agrees. Study after study shows that breakfast boosts brainpower and helps to control cravings later in the day. Breakfast:Eggs with avocado and salsa in a soft corn tortilla, or oatmeal with nuts and fruit. Why it's good: The avocado not only adds creaminess, says Moore, but the fat increases the absorption of certain antioxidants, like lycopene, from the salsa. Salsa is also an original way to sneak in a serving of vegetables. 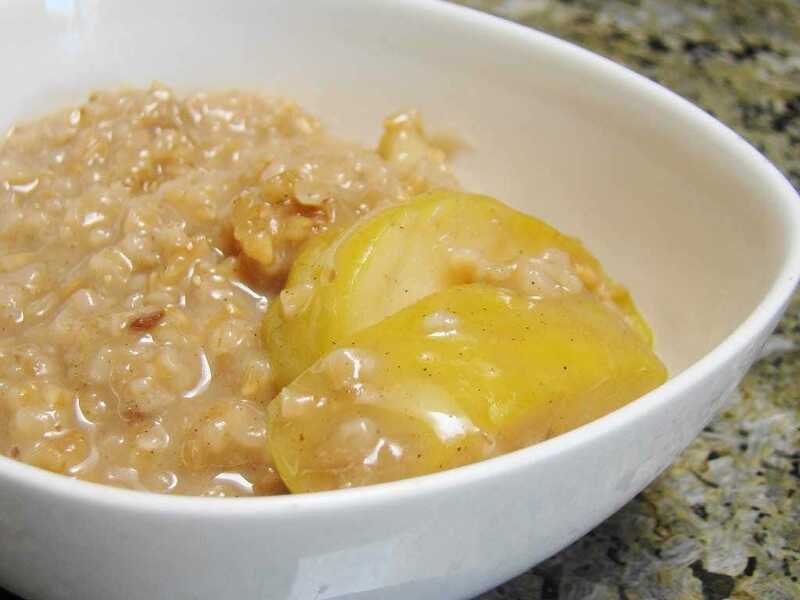 Oatmeal contains a type of fiber known as beta-glucan, which has been shown to help maintain healthy cholesterol and glucose levels, says Moore. Toby Smithson, RDN, LDN, CDE, author of "Diabetes Meal Planning and Nutrition for Dummies"
Breakfast: 1/2 cup cooked oatmeal; 5 ounces plain Greek yogurt with sugar substitute, cinnamon, and three to six chopped whole almonds; freshly brewed tea. Why it's good: Smithson uses Greek yogurt for an extra boost of protein and prefers to add no-calorie flavorings like cinnamon. Nuts help maintain Smithson's blood-glucose levels, which is important for managing her Type 1 diabetes. Breakfast: Nonfat Greek yogurt mixed with berries and a small handful of a whole-grain, high-fiber cereal; or steel-cut oatmeal cooked in soy milk with chia seeds, walnuts, cinnamon, and honey; or sautéed vegetables (onion, garlic, jalapeno, tomato, and spinach) topped with cubed tofu or shredded mozzarella cheese along with a slice of whole-grain toast. Why it's good: Sheth chooses a parfait when she's in a hurry and needs something quick to go. She enjoys sautéed vegetables on relaxing weekend mornings and hot oatmeal on winter days. Breakfast: Steel-cut oats made with skim milk and topped with sliced almonds, fresh blueberries, a sprinkle of cinnamon, and a splash of fat-free half-and-half; a small glass of orange juice or tomato juice; coffee. Why it's good: Larson says this hearty dish fuels her through a spin class and a core workout after. Marjorie Nolan Cohn, MS, RD, CDN, ACSM-HFS, author of "The Belly Fat Fix"
Breakfast:1/2 cup oats cooked with water; 6 ounces plain fat-free Greek yogurt mixed into the cooked oatmeal; 1 tablespoon sunflower seeds or 1/2 tablespoon almond butter; a Granny Smith apple sliced and dipped into the oatmeal with a generous amount of cinnamon mixed in. Why it's good: The most important thing about this breakfast, says Cohn, is that it's filling and supports her active lifestyle. "I've been eating it for more than 2 years now," she says, "and it's still not old!" Breakfast: Sweet potato with butter, cinnamon, and cayenne pepper; hot chocolate with raw cacao, almond milk, sweetened with maple syrup. Why it's good: Caplan likes this wintertime grub because it's warm and filling but also loaded with vitamin A and other nutrients. Ruth Frechman, MA, RDN, CPT, author of "The Food Is My Friend Diet"
Breakfast: Oatmeal with unsalted peanuts and a heavy sprinkling of cinnamon for flavor. Why it's good: Frechman finds this meal economical because she buys her oats in bulk. 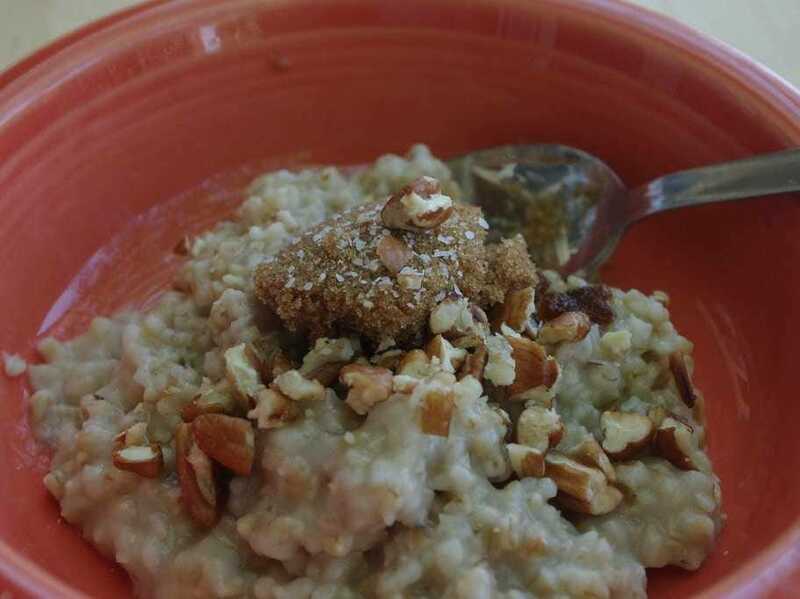 The peanuts add a crunchy quality to the smooth texture of the oatmeal. She can easily add variety by tossing in oat bran or substituting prune juice for water. Joan Salge Blake, MS, RD, LDN, FAND, author of "Nutrition & You"
Breakfast:A blended smoothie of plain nonfat Greek yogurt, 1 teaspoon sugar, 1 teaspoon cocoa, and 1/2 cup frozen strawberries. Why it's good: The protein in the yogurt gives you staying power in the morning, says Blake. 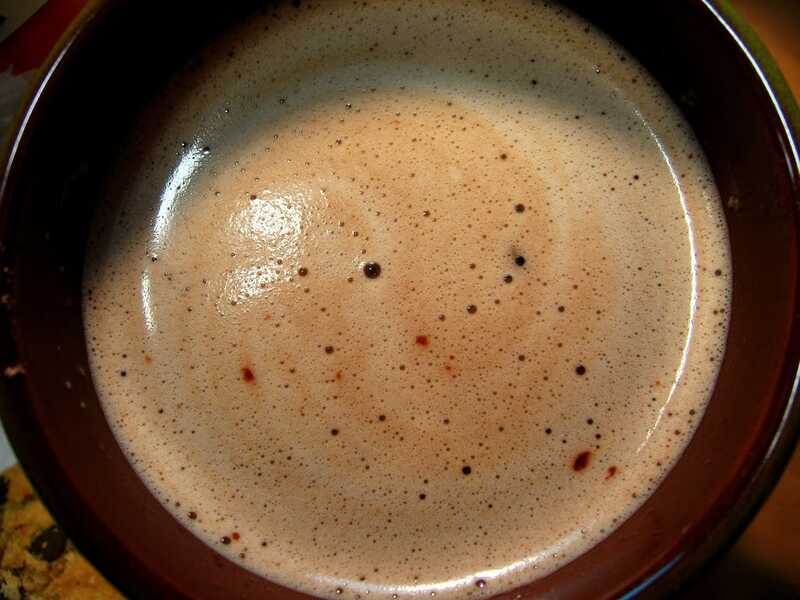 The cocoa provides delicious, heart-healthy flavanols, and the strawberries provide fiber and sweetness. You can top it with a whole-grain cereal for an added crunch. Breakfast: One whole-wheat English muffin with natural peanut butter and half a banana. Why it's good: "It's filling and keeps me satiated until lunch," says Smith, "and it's delicious!" Breakfast: Steel-cut and old-fashioned oats cooked with 1% milk, mixed with fruit, walnuts, and a scoop of plain Greek yogurt. Why it's good: This meal hits all the food groups. The walnuts provide healthy fat; the fruit is a great source of fiber; the milk and Greek yogurt provide protein; and the oats are a whole grain. "It holds me for at least four hours," says Danahy. Breakfast:A smoothie made with almond milk, powdered peanut butter, Fox's UBet chocolate syrup, frozen bananas, and frozen strawberries, cherries, or mango. Why it's good: Salomon uses almond milk because she's casein-intolerant. The powdered peanut butter provides protein but is fat-free. "I love that it's so cold and frosty," says Solmon, "almost like soft-serve ice cream." Breakfast: A cup of oatmeal with some walnuts broken up on top; a cup of tea. Why it's good: The extra protein and fat from the walnuts help to keep Gill full for longer than eating cereal alone. Nancy Clark, MS, RD, CSSD, author of "Nancy Clark's Sports Nutrition Guide"
Breakfast: 1/2 cup uncooked oatmeal, 1/4 cup Grape-Nuts, 1/4 cup granola, 3 chopped dates, and a handful of slivered almonds with a splash milk. Why it's good: It's tasty and combines a mixture of healthy foods. Maria A. Bella, MS, RD, CDN, author of "The Complete Idiot's Guide to The Acid Reflux Diet"
Breakfast: Gnu foods Fiberlove bar; Fage o% Greek yogurt. Why it's good: The Gnu bar is packed with 12 grams of fiber and is only 130 calories. It comes in a variety of flavors, like peanut butter chocolate chip and banana walnut. The yogurt provides protein and calcium. Georgia Kostas, MPH, RDN, LD, author of "The Cooper Clinic Solution to the Diet Revolution: Step Up to the Plate!" Breakfast: Steel-cut oatmeal with dried cranberries and walnuts, or a blueberry-and-strawberry smoothie made with plain nonfat Greek yogurt and 2% cheese melted on whole-grain toast or a corn tortilla. Why it's good: Whether they are dried, fresh, or frozen, berries are important sources of fiber, vitamins A and C, and antioxidants, says Kostas. 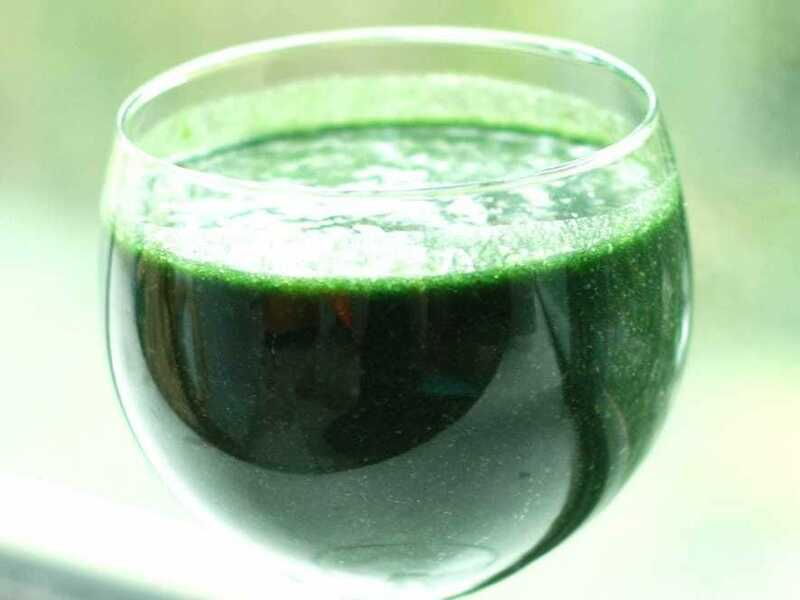 Breakfast: A homemade smoothie made with yogurt or nut butter, almond milk, frozen fruit, such as a banana, cranberries, blueberries, strawberries, or mango, and vegetables, such as kale, spinach, and cucumber. Why it's good: Korody likes to hit the gym in the morning and doesn't want to exercise on a full stomach. 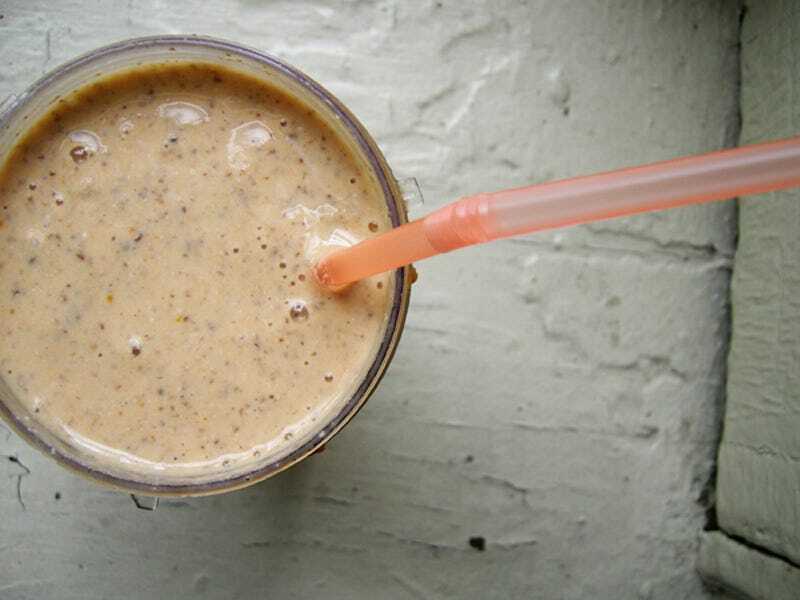 She fuels up by drinking half of her smoothie before her fitness routine and finishes the rest post-workout. Breakfast: 1/2 cup oatmeal mixed with 2 egg whites, 3/4 milk, and a handful of frozen berries. Microwave it for 45 seconds, give it a stir, then microwave it for another 45 seconds. Why it's good: You can't even taste the egg whites, says Rager, but they add protein to a high-fiber dish. Breakfast:Two eggs on toast and fruit. 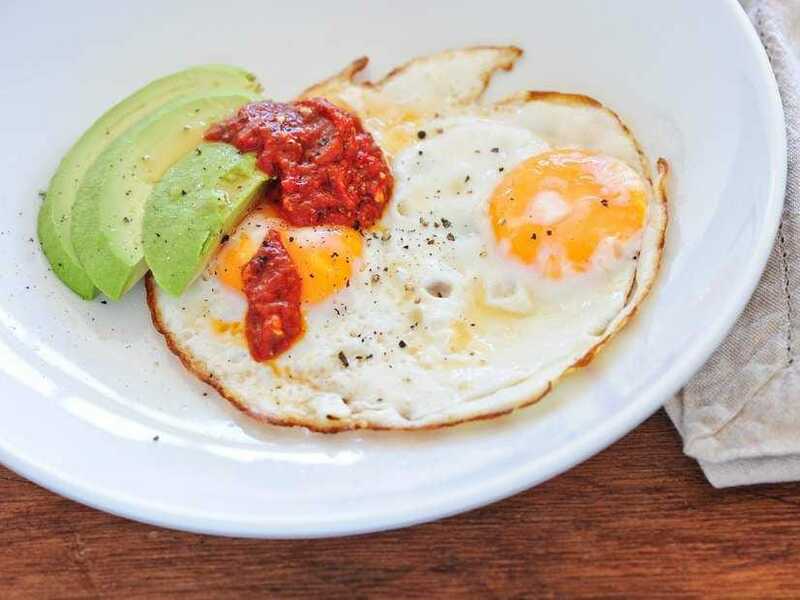 Why it's good: Eggs are high in protein and they're versatile. To avoid getting bored, Cowlan prepares her eggs in different ways and pairs the dish with different kinds of fruit. 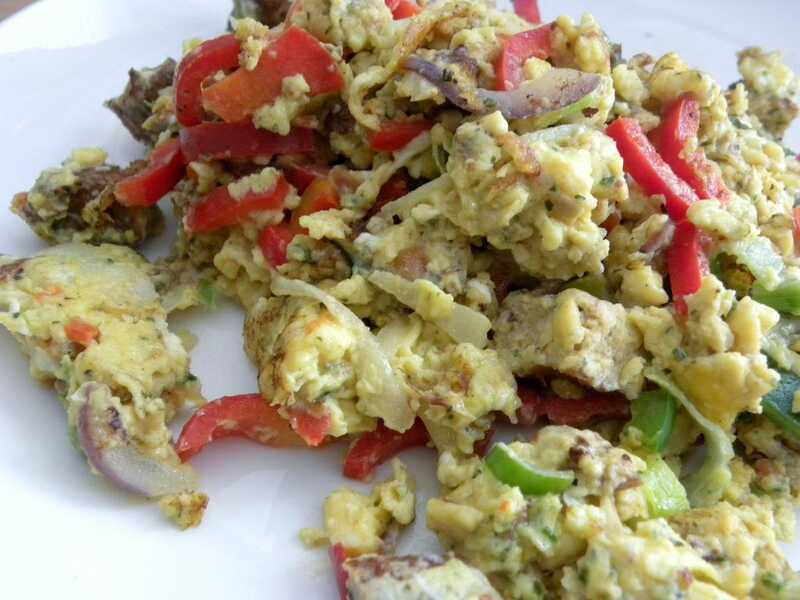 Breakfast:Scrambled eggs with lots of vegetables, such as onion, garlic, pepper, mushrooms, spinach, tomato, and jalapeno and herbs, like basil, parsley, oregano, and chives, sprinkled on top with cheese; a sautéed white or sweet potato on the side. Why it's good: An egg scramble is a great way to use up whatever vegetables you have on hand in a snap. Breakfast: 1 cup Trader Joe's Maple and Brown Sugar Shredded Wheat with 1 cup fat-free milk; Earl Grey tea with a splash of the fat-free milk. Why it's good: The cereal provides 5 grams of fiber and doesn't have any sodium, says Brown. It's also quick and inexpensive. 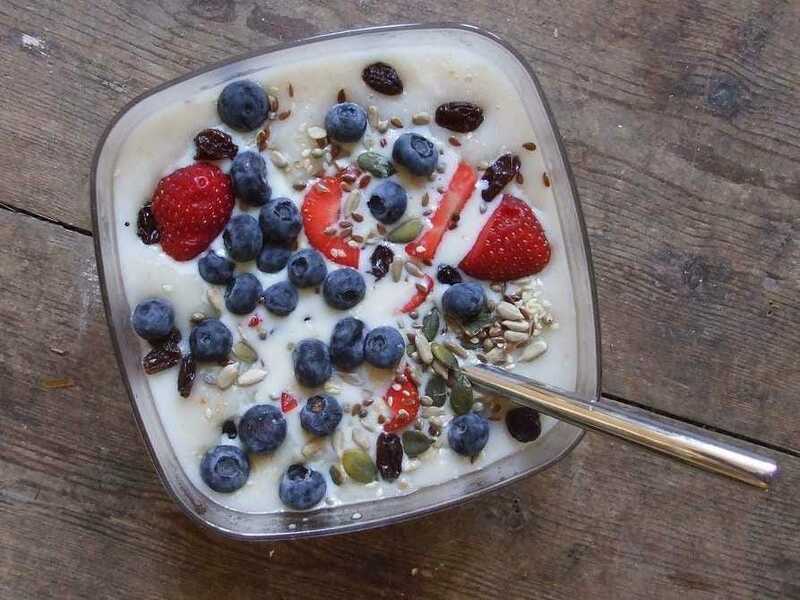 Breakfast: Plain Greek yogurt and oatmeal with nuts, fruit, or granola. Why it's good: It's easy to bring to work, says Nissenberg, and fills her up. Breakfast: Cage-free egg whites with avocado and low-fat shredded cheese and a dash of turmeric; a slice of artisan whole-grain bread; organic coffee. Why it's good: Turmeric adds a peppery flavor to eggs, and Kamveris says she uses the orange spice for its anti-inflammatory properties. 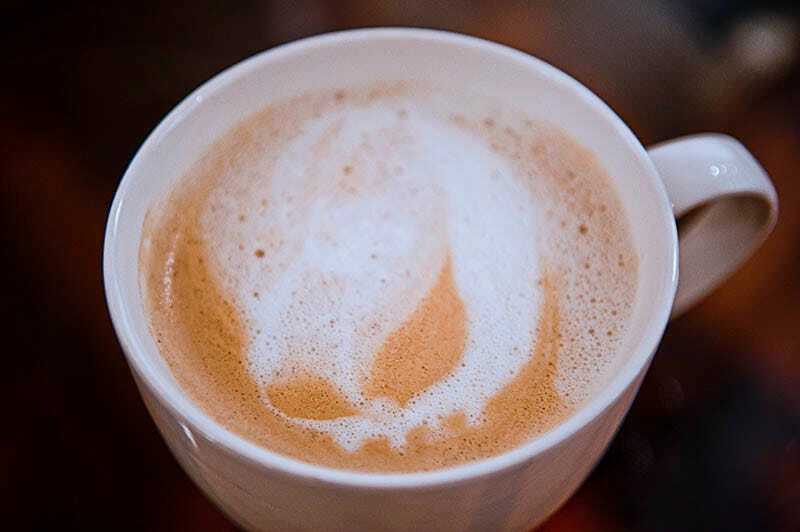 Freshly brewed coffee gives her a jump-start for the day ahead. Breakfast: Rolled oats and low-fat milk, ground flaxseed, and strawberries. Why it's good: This is the ultimate power breakfast, says Ansel, thanks to its combination of fiber from the oats, flaxseed, and berries, plus protein and calcium from the milk. Breakfast: One-minute oatmeal made with skim milk, topped with blueberries, chopped bananas, and slivers of almonds; or high-fiber cereal with skim milk, topped with blueberries, in addition to a cup of low-fat Greek yogurt; coffee. Why it's good: Cereal is easy if you don't have time to make oatmeal. Breakfast:French toast made with whole-grain bread, cinnamon, nutmeg, ginger, eggs, and skim milk served with chopped fresh, frozen, or canned fruit; or an egg omelet with mushrooms, spinach, tomatoes, low-fat cheese, red, yellow, and green peppers, herbs, and skim milk. Why it's good: During the winter, Hughes likes to warm up with a hot breakfast, like eggs or French toast, rather than cold cereal and milk. Patsy Catsos, MS, RDN, LD, author of "Flavor Without FODMAPs Cookbook"
Breakfast: 1/3 cup of quick-cooking oatmeal, a pinch of brown sugar, a tablespoon each of raisins and slivered almonds; black coffee. Why it's good: Catsos enjoys this dish because it's easy to prepare, and filling. She pours boiling hot water over the oats, almonds, and raisins, then pops it in the microwave for 30 seconds. Victoria Shanta Retelny, RDN, author of "The Essential Guide to Healthy Healing Foods"
Breakfast:Chunky peanut butter or almond butter smeared on a whole-grain English muffin with sliced strawberries or bananas; skim latte sprinkled with cinnamon. Why it's good: The crunchy peanut butter and fruit make this breakfast the perfect combination of savory and sweet. Breakfast:Oatmeal made with milk, mixed with a tablespoon of flax meal, and topped with dried cherries and chopped walnuts; coffee with a little whole milk and caramel mixed in. Why it's good: "I love it because it tastes so wonderful, is nutrient-rich, and tides me over until lunchtime." Elizabeth M. Ward, MS, RD, author of "MyPlate for Moms"
Breakfast: A fried egg, cheese, and avocado sandwich on a whole-wheat English muffin. Why it's good: This savory sandwich includes healthy fats, dairy, and protein. Breakfast:Sweet-potato hash with bell peppers, onions, egg substitute, and whole-wheat toast. 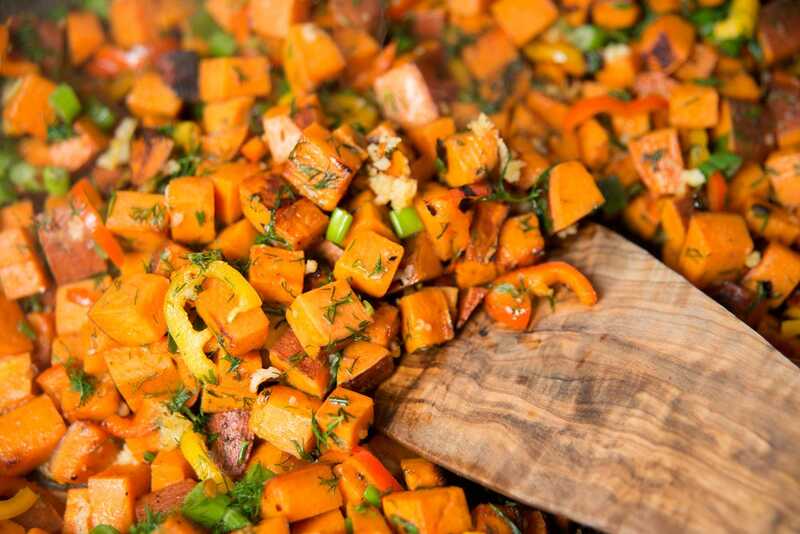 Why it's good: Sweet potatoes aren't just a Thanksgiving food; this root vegetable is rich in fiber, vitamin E, and potassium. Breakfast: Trader Joes's frozen steel-cut oats with walnuts, raisins, and 2 tablespoons freshly ground peanut butter. 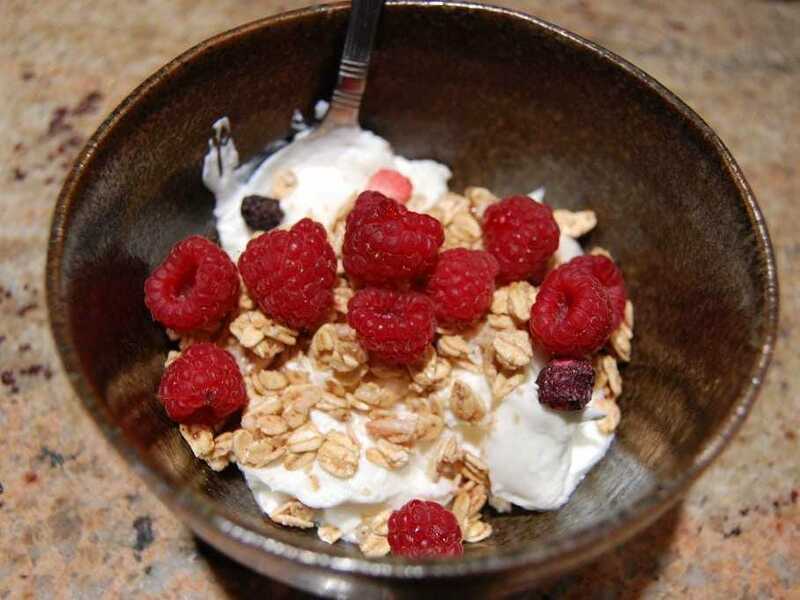 Why it's good: If you have a sweet tooth, this healthy breakfast bowl "tastes like a peanut butter and oatmeal cookie," says Anding. Breakfast: Whole-grain breakfast cereal (containing less than 5 grams of sugar per serving) with unsweetened almond milk, berries, and apple chunks or banana slices. Why it's good: Cereal is a hassle-free breakfast that doesn't require any cooking time. Breakfast: Fruit with hot cereal, such as oat bran, with skim milk, or a small homemade bran muffin. Why it's good: Song makes her own muffins so that she can control the portion size and what goes in them. The premade food is great to grab and go. Breakfast: Freshly ground peanut butter on a toasted whole-wheat English muffin, a glass of soy milk, and a clementine or other fruit. Why it's good: Lichten lives in Florida but still loves to eat a warm breakfast. The peanut butter helps her to reach her goal of consuming 20 to 30 grams of protein daily, while adding a nice crunch. 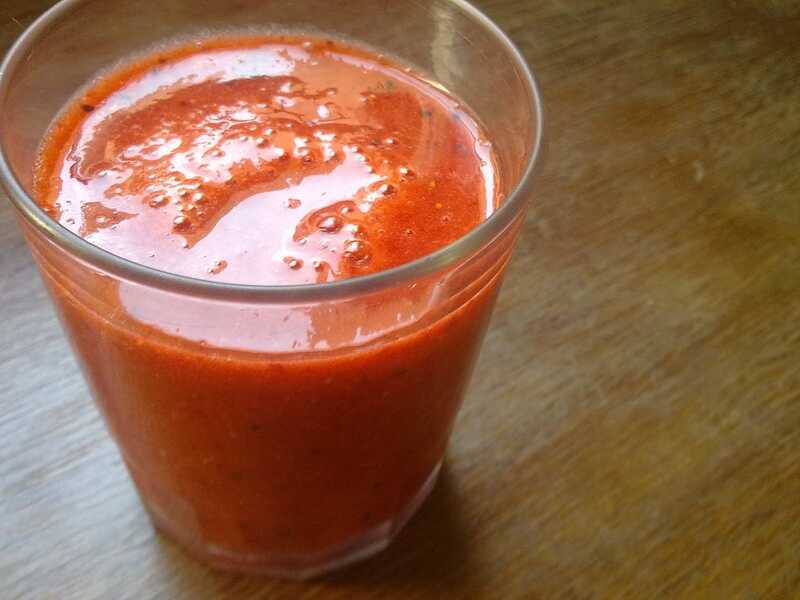 Breakfast:A smoothie of vegetables, fruit, and low-fat yogurt. Some examples include spinach, kiwi, and low-fat lime yogurt or ginger, beet, cabbage, apple, and low-fat berry yogurt. Why it's good: The combinations are endless, says Mills, who puts everything in a blender with a small amount of water. Plus, it's a refreshingly sweet way to get a couple servings of the recommended 2.5 cups of vegetables, 2 cups of fruit and, 3 cups of dairy we need every day, she says. Breakfast:A serving of fruit (usually seasonal from the farmers market, but sometimes blended with kale, Swiss chard, and unsweetened almond milk into a green smoothie) with raw, cubed Organic Super-Firm Tofu sprinkled with kala namak black salt. 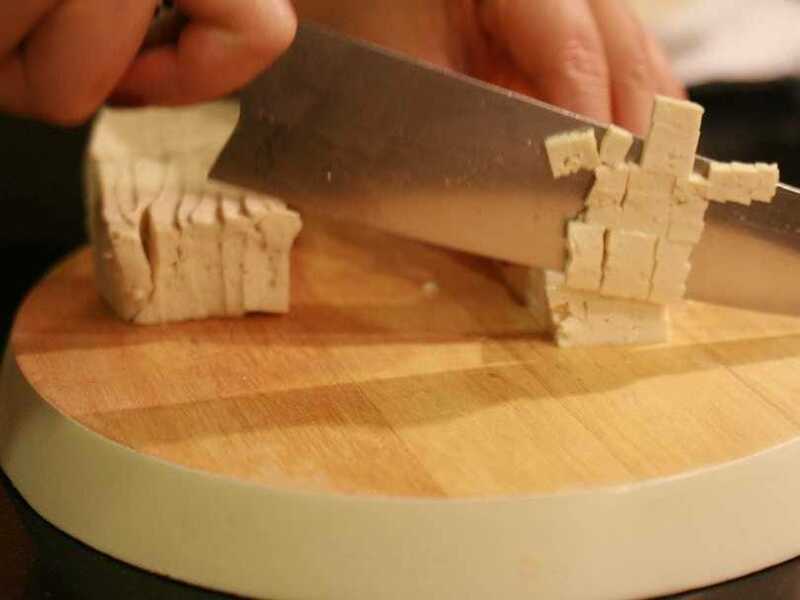 Why it's good: Tofu is a good alternative source of protein and fat for vegans who don't eat eggs. "The salt," says Ballmann, "makes the tofu taste like eggs, which is nice for vegans who are used to eating eggs and miss the flavor." Breakfast: 1/2 cup rolled oats, 1/2 cup milk, 1/4 cup fruit, microwaved for 2 minutes and topped with 1 tablespoon nut butter and a handful of pumpkin seeds. Why it's good: The nut butter and seed provide extra protein that keep Livingston full all morning long. Why it's good: This meal packs a generous amount of protein — 35 to 45 grams — which is important for vegetarians likes Gochnour. Breakfast: A hard boiled egg and whole grain toast with raw almond butter and cinnamon. Why it's good: Hard boiled eggs are easy to prepare ahead of time. "The cinnamon on the toast also adds a nice little sweetness without using sugar," says Cochran.